With almost a weekly sacking seeming to be the way of life the Premier League at the moment, Paul Clement will be looking very closely over his shoulder as the Swans entertain 13th placed AFC Bournemouth this weekend. In fact 4 out of the bottom 5 teams have sacked their manager so far this season – the only exception to date being the Swans! The Swans can ill afford another slip up at the Liberty Stadium especially with two tricky away games to follow at Chelsea next Wednesday and Stoke City on the Saturday. 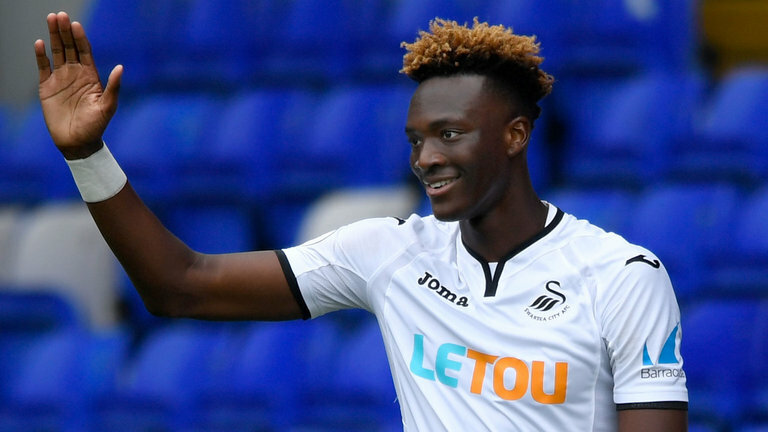 As leading scorer Tammy Abraham is unlikely to feature,due to the back spasms he suffered in the Swans 2 nil defeat at Burnley last weekend, Wilfried Bony will replace the young England striker as the Swans aim to put an end to their four game losing streak. Having won once at home all season – against Huddersfield Town – Clement’s men find themselves two points adrift of safety and five points behind Eddie Howe’s Bournemouth, who themselves were on a barren run of form not so long ago, before putting together a run three wins out of the last four matches. But it is not just the results that have been disappointing for the Swans, it has been the manner of defeat and the apparent lack of any style of play that has been the most worrying sign. If I was a gambling man and considered all of our home performances to date this season, I’d probably have more luck – and dare I say enjoyment – if I play online slot machines at Royal Vegas instead of putting my money on the Swans! 💪 "When things get hard and the going gets tough, nothing but your best will ever be enough." No doubt many fans, myself included, sincerely hope that those he put on the shirt this weekend actually realise that “nothing but your best will ever be enough.” – which sadly wasn’t the case especially in the recent home defeat against newly promoted Brighton. As for the team selection, well there is unlikely to be many changes with the exception of Bony replacing Abraham and Ki replacing Dyer from the side that started last week. This means a midfield diamond with Ayew and Bony up front. The absence of Spaniard Roque Mesa still remains a mystery for me though, especially as he is usually also absent from the substitutes bench. The lack of goals is a major concern and without recent full England International Tammy Abraham leading the Swans line, it is hard to see where the goals will come from especially this weekend. Oh what the Jack Army would give for Wilfried Bony to find the form of 2013-2015 when he scored 26 goals in just 54 appearances! Those of a superstitious nature probably won’t want to hear that the Swans haven’t won a home game when Saturday’s referee Stuart Attwell has been in charge – P5 W0 D3 L2. Thoughts of the our New Year’s Eve drubbing at the hands of the Cherries last season still linger and little did most fans probably think that almost 12 months on we’d still be occupying one of the Premier League relegation places. No doubt a similar result this weekend could spell the end of Paul Clement’s reign, despite his claims otherwise. Its hard to be upbeat about the Swans fortunes at the moment, but no teams get relegated in November, so there is time for Clement’s squad to turn things around and lets all hope that the much needed revival starts this weekend.